Although it was a (smart) pure marketing move on the part of Marvel and Epic Games, the Fornite x Thanos crossover was actually pretty entertaining. The gist is that one person, if they acquire the Infinity Gauntlet, can become the all-powerful Thanos that can wreck shop with newfound powers that break the limits of the game. The big bad titan had to be re-balanced a few times but hey, it was a silly offbeat temporary mode (called "LTMs" in Fornite). 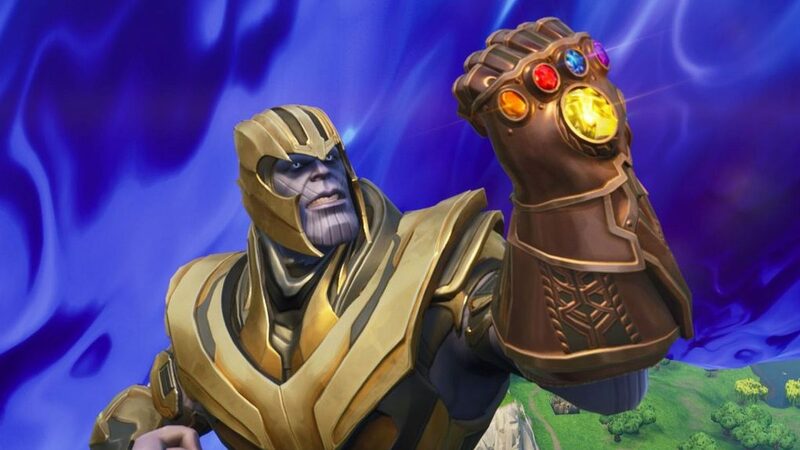 It looks like it might be coming back again; according to longtime dataminer Skin-Tracker, there are currently new lines for Thanos that are in the latest build of Fortnite, specifically indicating that players have been killed by the power of Thanos. For those who don't follow the datamining scene too closely, developers often throw in lines of code in advance for future content. Although sometimes they're red herrings to throw people off they're often legitimate, as indicated by several instances in recent memory where Nintendo has wiped any potential teases like SNES games on Switch or Smash Ultimate DLC. With Avengers; Endgame right around the corner, which is poised to smash the roughly two billion worldwide box office of Infinity War, there's a vested interest to bring Thanos back into the spotlight. Maybe if Fornite is around in 10 years for MCU Phase Six we'll get to play as Galactus?